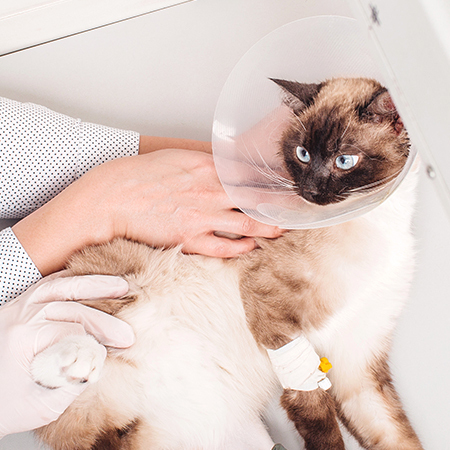 Surgery is often the most effective way to treat many serious injuries and disorders, and at Chena Veterinary Clinic, we are proud to offer state-of-the-art facilities and equipment. Our practice provides a full range of surgical services including standard spaying and neutering, to advanced, highly specialized procedures. Our veterinary team will walk you through the entire process, giving you the information you need to make an educated decision regarding your pet’s treatment. We understand surgery is a stressful time for any pet owner, and we’re available every step of the way to answer questions and put your mind at ease. If you are considering surgery for your pet, please contact Dr. Rember to schedule an introductory consultation. You can do this by calling 907-268-3379 or by making an appointment online.